Need a Date of death appraisal ? 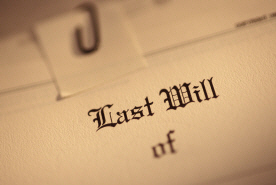 Estate tax liability, disposition of assets under a will, or in probate ? There are many situations, none of them lacking stress and complexity, where you might need an appraisal of a residential property that states a value opinion of what the property was worth on a date some time ago, rather than when the appraisal is ordered. For estate tax purposes, or disposition of the assets of a decedent, a "date of death" valuation is often required. Attorneys, accountants, executors, and others rely on Tri Borough Appraisals for "date of death" valuations, because such appraisals require expertise. They require an appraiser that is geographically competent, and can effectively research and verify appropriate supporting market data. It is a wise decision to consult with a professional real estate appraiser, bound by the Uniform Standards of Professional Appraisal Practice (USPAP) for a high degree of confidentiality and professionalism, if you need a quality appraisal report taxing authorities and courts expect.